CP Technology has designed and patented an innovative solution for steel ribs placing. 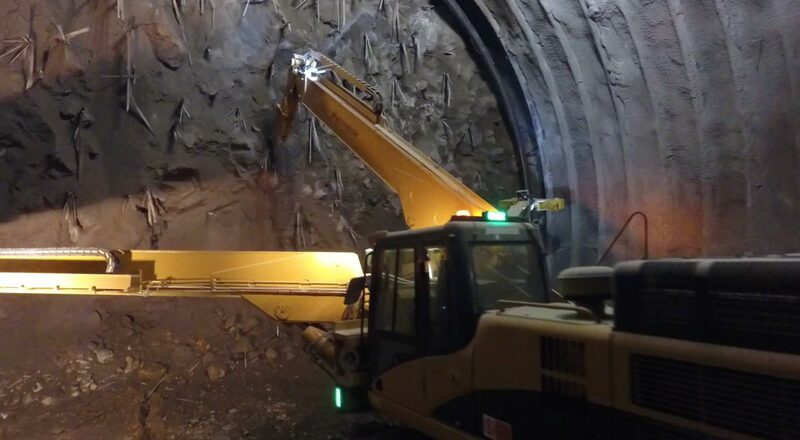 Immediate and effective primary support of open-face excavations, using excavators in soft ground and drill and blast in hard rock conditions, is a vital concern for the safety of the workers and the management of ground deformations. The latest development of the tubular arch support system provides for automatic installation of the elements and adds improved worker safety to economic savings. 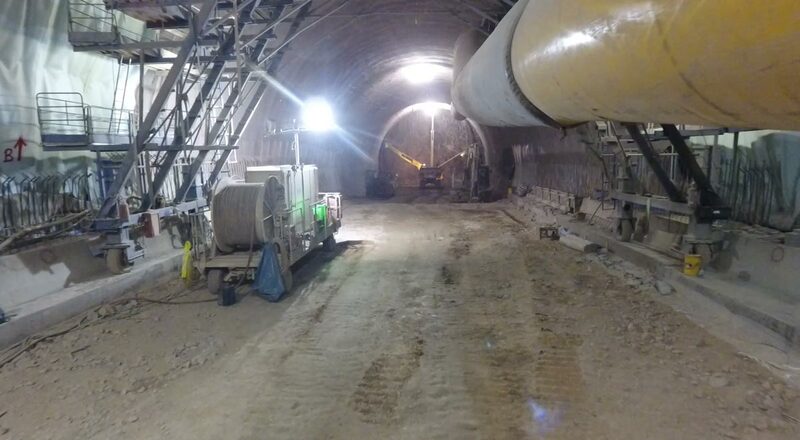 The innovative semi-automatic tubular steel arch developed by Maccaferri Tunneling improves safety by introducing a semi-automatic installation procedure. The Tubular Still Ribs are factory assembled and delivered to site in a folded configuration. 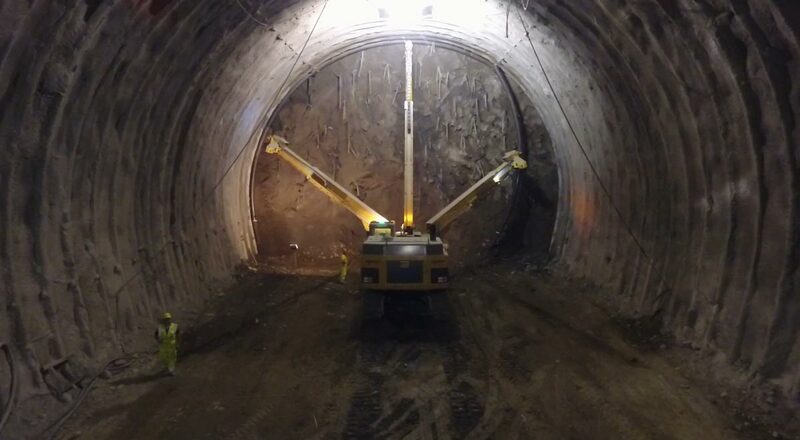 It is then transported by a Special radio controlled Carrier Equipped with a Three Armed Handler EKIP 21-04 (Designed and Manufactured by CP-Technology) to the tunnel face where it is lifted in position and opened automatically. The centre arm of the Carrier is taking care of the positioning of the Tubular Steel Rib’s Vault section while the two side arms are taking care of handling the piers sections. The bracing elements between each tubular steel rib are pre installed in the factory, the Special Handler pulls the tubular steel rib towards the previously installed one. This procedure engages the bracing elements between the adjacent tubular steel ribs, locking them together at the appropriate spacing. The next step is to position each foot of the tubular steel rib at the ground level. 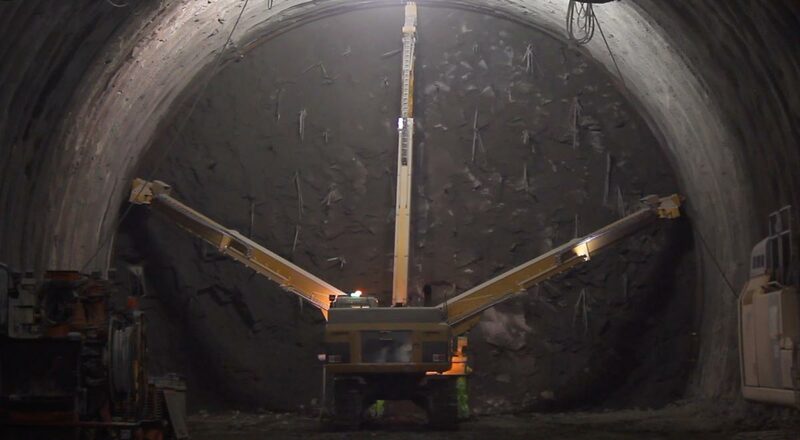 And the final operation for better resistance is reached filling up the steel rib with concrete. Installation of this kind of tubular steel rib does not require the presence of any worker during the installation, neither during the assembling of the current sections nor for the installation of the bracing ant positioning of the feet. assuring a semi-automatic installation in a considerable safe, precise and time saving manner. The equipment can be supplied with topographical reference system CP track. 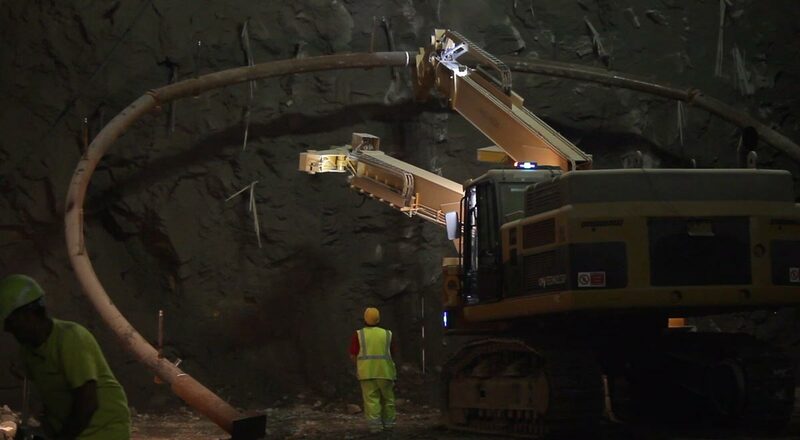 CP track system (CTS) allows the site to obtain the information of the topographical position of the steel rib just using a USB key for data download from the machine once steel rib positioning operation is completed. Tubular Steel Ribs Special Handler, designed and manufactured by CP-Technology, is a Patent equipment. 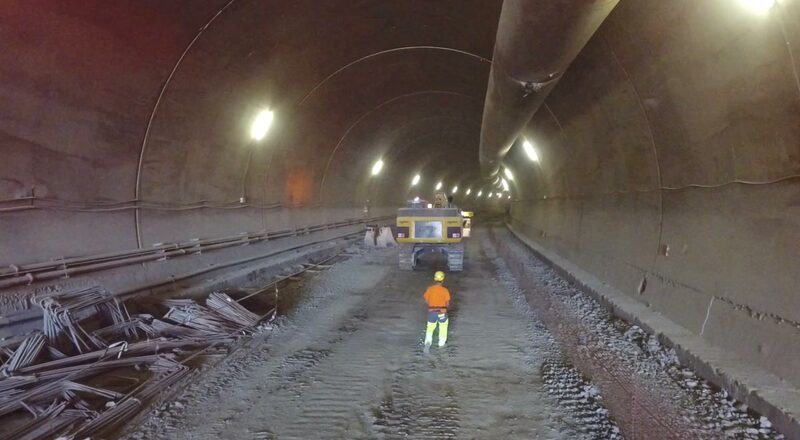 Ekip Robot can be used both in large and small tunnel section.